I may have caved and bought a smaller lined 4×6 Quo Vadis Habana notebook too. The big one was awfully big to carry around all the time. 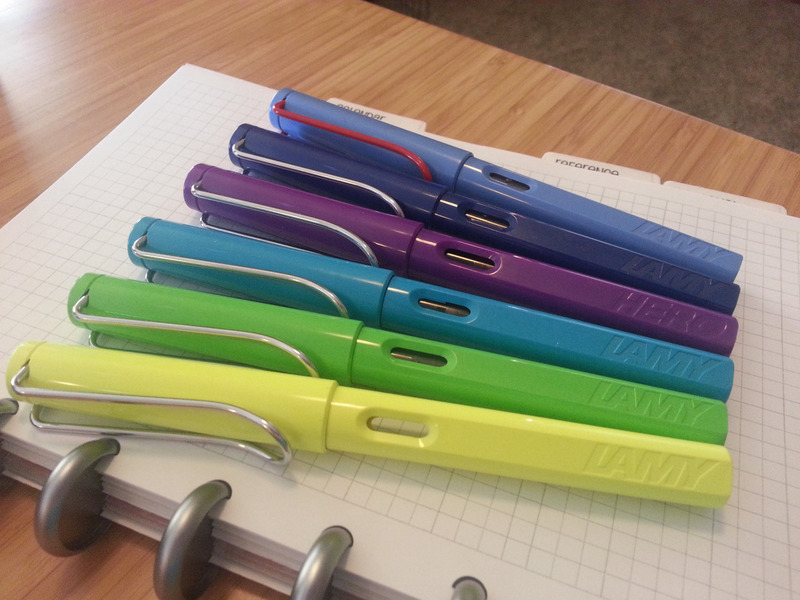 I may have a problem, I admit. The lined paper of the Quo Vadis Habana is actually really nice too. Just playing with the new 4×6 Habana, the paper looks great with Diamine Ancient Copper. 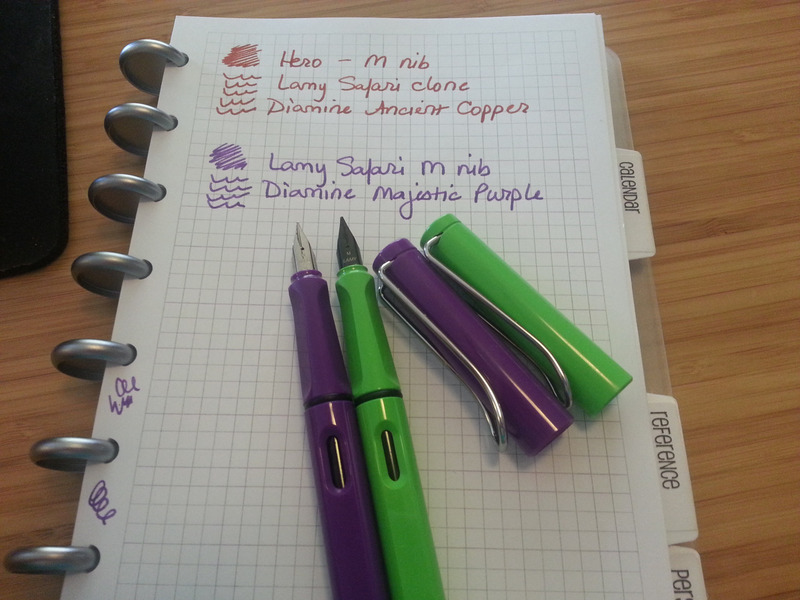 Comparisons of the Hero Lamy Safari clone against other Lamys. 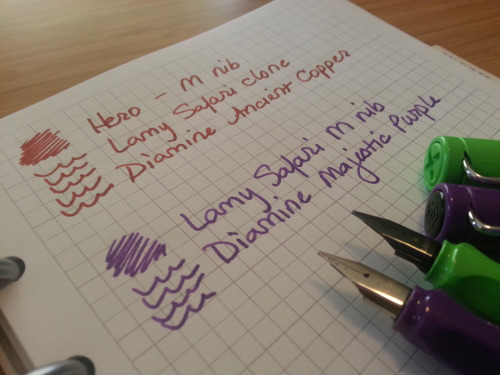 The Hero with M nib is filled with Diamine Ancient Copper – the Lamy Safari with M nib is filled with Diamine Majestic Purple. Just because it pleased me, bwahahaha! 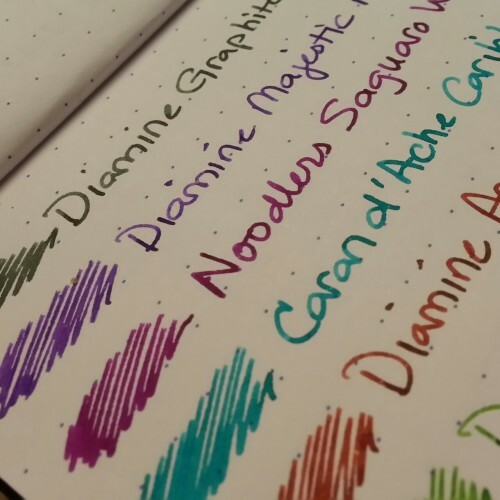 This week’s pens and inks. 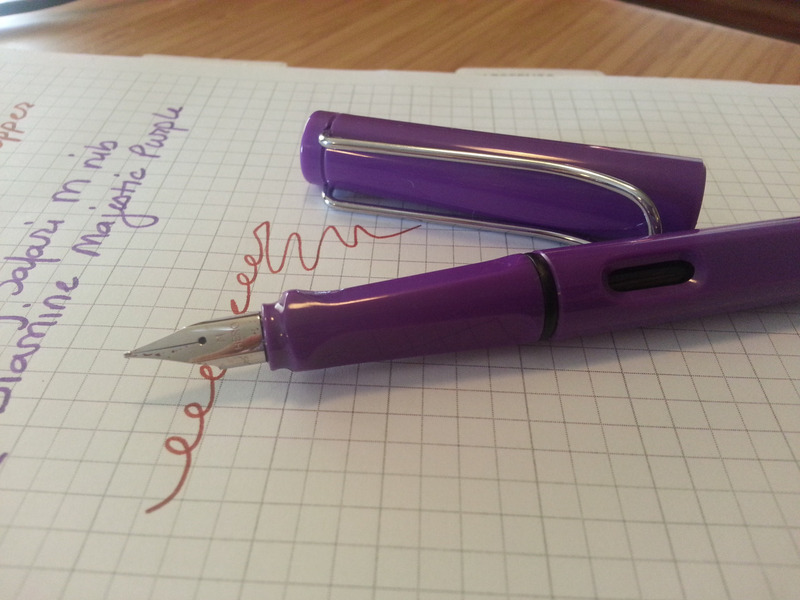 Diamine Majestic Purple = pretty, mid-tone purple, not too dark or not too light. 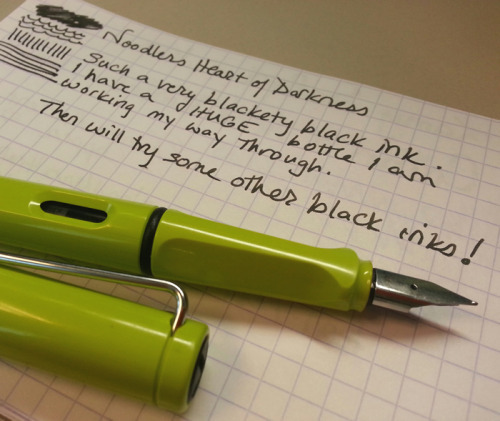 I like it and will probably get a bottle, it seems like the perfect purple to have in my ink inventory. 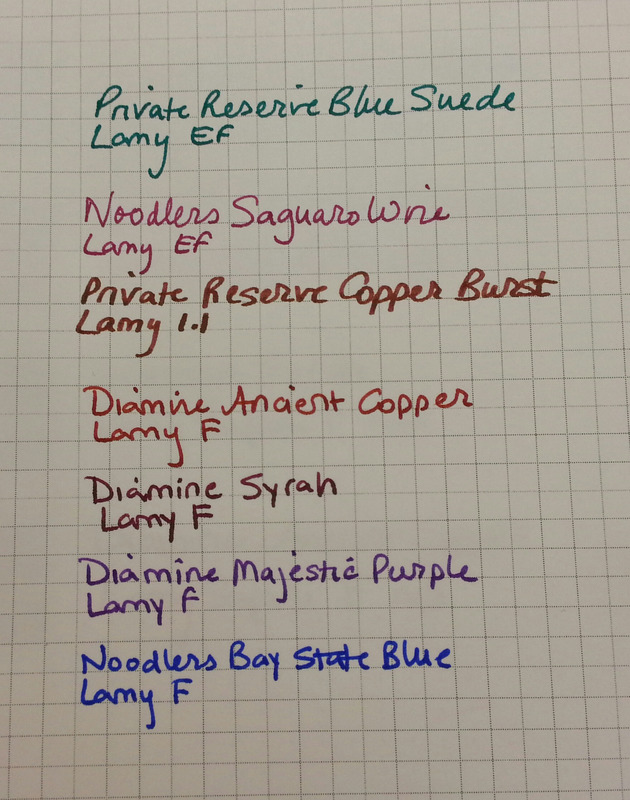 Diamine Syrah = kinda meh about it. A nice burgundy wine-esque red, but also kinda on the dull side; didn’t wow me. 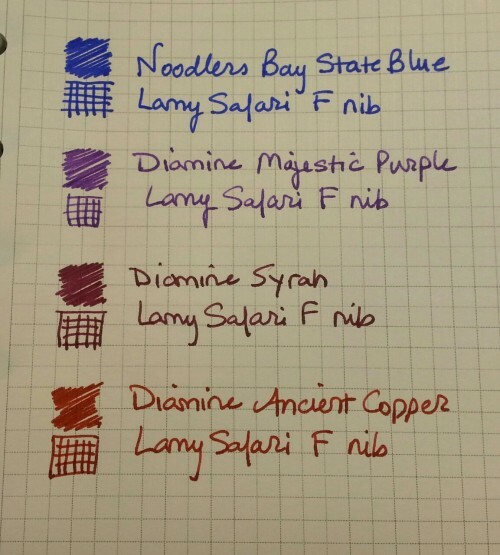 Noodlers Bay State Blue = beautiful vibrant blue ink that leaps off the page. 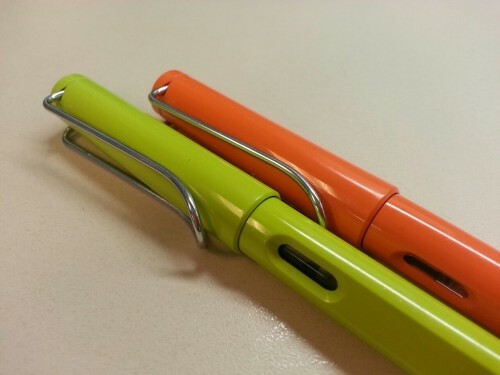 Pen started to get a little skippy after about two weeks, with it not starting immediately and skipping during strokes. 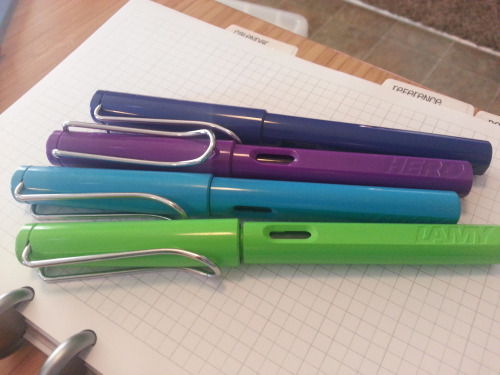 When cleaning the pen, the ink took FOREVER to clean out of the pen, and the converter will probably forever be my blue converter now. But still, such a pretty blue!! Hard to say if I’ll get a bottle or not. 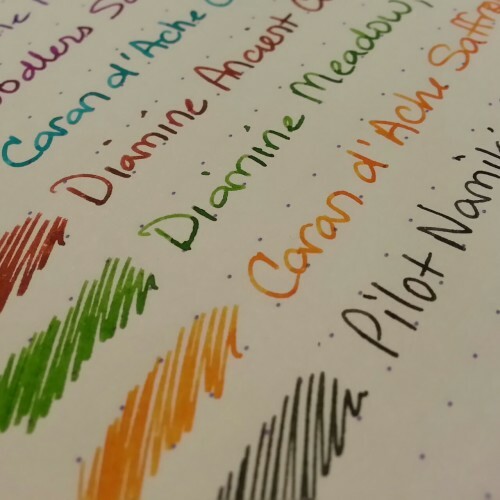 Ink Samples! 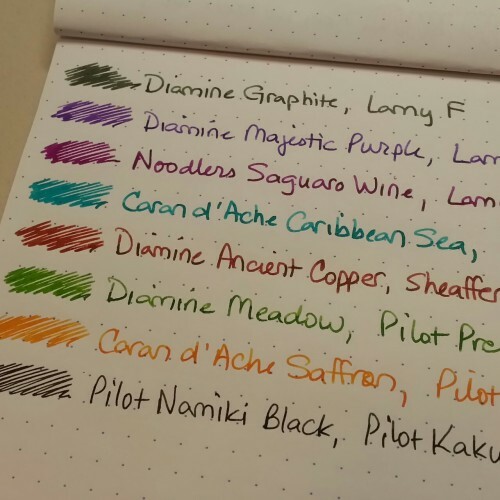 Just got about 30 new ink samples to try last weekend, here are the first four. It’s gonna take a while to try them all out. 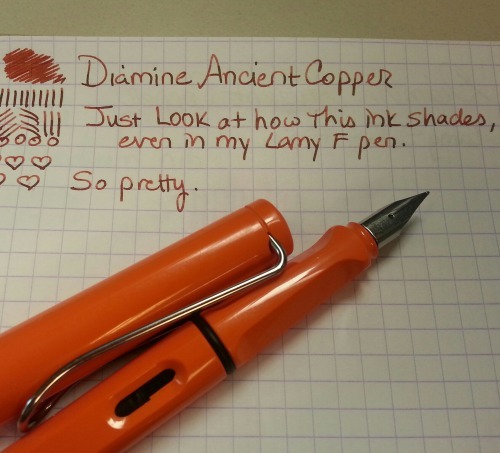 LOVE the ancient copper!